Almost everyone has an aspect of their smile they wish they could change, but not everyone wants to undergo major tooth restoration to get the smile they want. When it comes to tooth restoration, Nashville Dr. Dennis Wells understands the importance of preserving as much natural tooth as possible. If you want to change an aspect of your smile without damaging or reducing your natural teeth, DURAthin veneers are for you. Dr. Dennis Wells and dental lab technician Mark Willes designed DURAthin veneers to provide similar benefits as traditional porcelain veneers, while still preserving the underlying teeth. No drilling necessary! While traditional porcelain veneers require some tooth reduction to compensate for the added thickness of the veneers, DURAthin veneers are so thin that they bond directly onto the surface of the natural tooth. 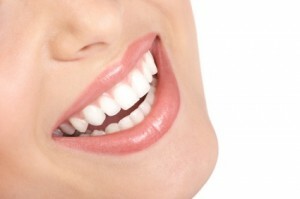 In fact, these prepless veneers are about as thin as a contact lens. DURAthin veneers offer the aesthetic benefits of traditional porcelain veneers without the pain, drilling, and irreversible reduction of tooth enamel. As a result, DURAthin veneers preserve your underlying teeth so that you can remove the veneers down the road with no damage to your original smile. DURAthin veneers offer you the beautiful smile you want without all the time and pain of traditional tooth restoration procedures. If you are looking to whiten, straighten, or reshape one or more of your teeth, call The Nashville Center for Aesthetic Dentistry in Brentwood, Tennessee to schedule an initial consultation with Dr. Dennis Wells.